Lately, the Tampa Bay Lightning has had ownership of the Detroit Red Wings. And so you can't blame the Bolts for giving the Red Wings a chance Tuesday night. I know. Let's play the game in Detroit. Hockeytown, you know? Home ice should give the Wings a nice push, right? Despite six straight losses to the Lightning in Detroit. And let's give you a break in goal. Andrei Vasilevskiy is hurt, and Louis Domingue is tired after 11 straight starts. So let's give the night to Eddie Pasquale, a minor league lifer who was playing his first game in the NHL. And let's keep Brayden Point, the second-leading scorer in the league, off of the scoreboard. And let's let Detroit's Frans Nielsen get a hat trick. And we'll give the Wings a 2-0 lead, and let the Lightning tie it up, and then we'll give them another two-goal lead. No, not enough? Given all that, and Detroit still lost Monday night when Nikita Kucherov scored in a shootout for a 6-5 win. It was the 13th straight time that Tampa Bay has beaten the Red Wings. Tampa Bay is now 21-7-1 on the season. 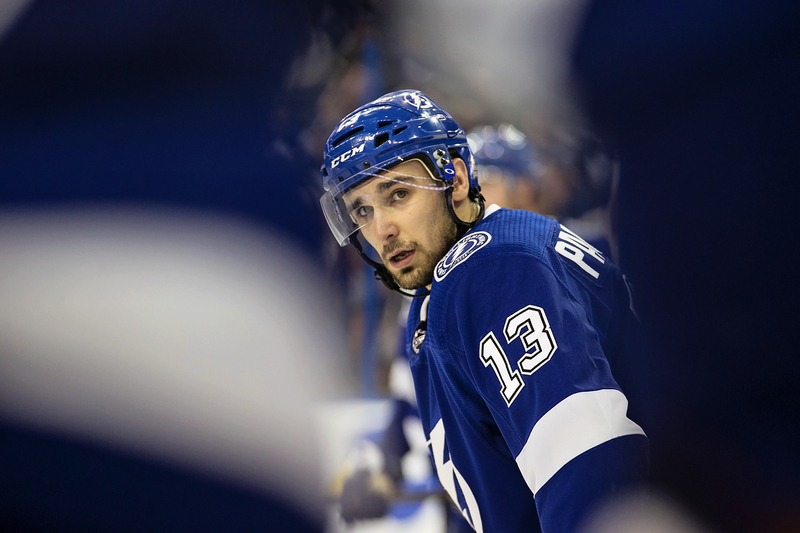 The Lightning won behind 28-year-old Eddie Pasquale, who was making his first appearance in an NHL game after a decade in the minors. He has played for five teams, and he missed the 2015 season after surgery. He stopped 19 of 24 shots and two in the shootout. “It’s a feeling unlike any other," Lightning coach Jon Cooper said. "I remember, and it’s completely different, vividly the first game in the NHL I coached. We went around the room a little bit today and guys were talking about their first games. It was the kind of night that made a long journey to get here worth it. Pasquale enjoyed his night despite giving up so many goals. “I didn’t expect to give up five goals and get a win, but at the end of the day, this team has so much scoring power that you’ve just got to fight through," Pasquale said. "It was one of those games a couple nice goals, a couple crappy ones, but I held in there and we got a win. Teammates didn't blame Pasquale, however. Joseph, third among NHL rookies in scoring, had two goals and a key assist to Cedric Paquette for the goal to force overtime. Paquette has three goal in his last our games. Besides Joseph and Paquettte, the Bolts got goals from Steven Stamkos and J.T. Miller. 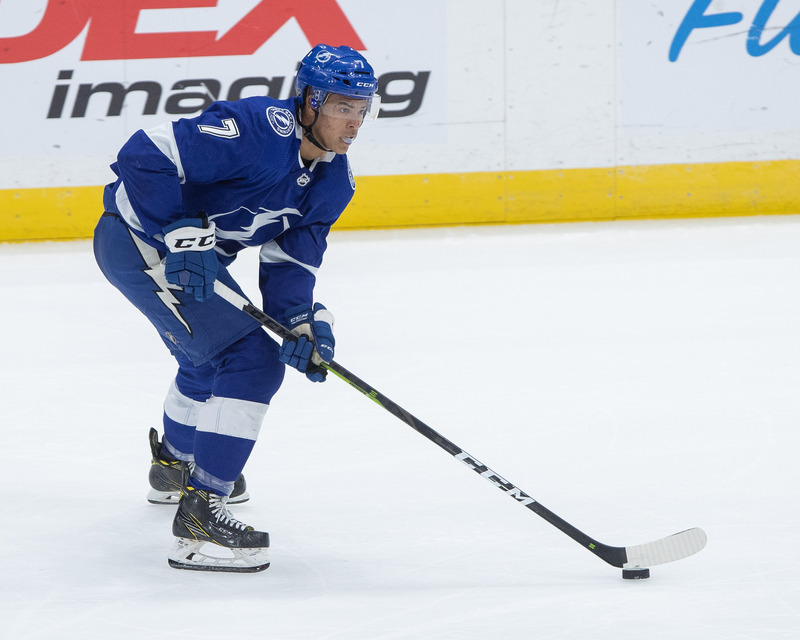 The Bolts trailed 1-0, 2-0, 3-2, 4-3 and 5-3 before their rally. It was the fifth time this season the Lightning has come from behind to win. Tampa Bay now returns home to play the Boston Bruins Thursday night at Amalie Arena. The puck is scheduled to drop at 7:30 p.m.
What a way to start your NHL career a win in a shootout. Good Job Pasquale. Good for the kid. He was shaky at times, but when it counted, he stood tall.